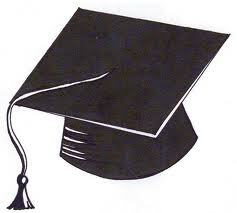 Graduation Season - Thinking about Downsizing? It's hard to believe it's May again and another school year is coming to an end! Congratulations to all the High School Seniors out there who will be either joining us in the working world or continuing on their way to college. We truly wish you the best in all that you do! Within the coming months, schools will be unloading their hallways and parents will be faced with the daunting task of deciding what housing changes will need to be made before the next coming school year. Stressful for sure, but easier once one has all the information needed to make the right decisions! With a college student of my own, I know the difficulties of sending a child off to school. Not many parents are prepared financially or emotionally for this change so naturally they worry about making the right housing decision. Some will choose to have their children live in the college dorms, others will rent apartments, and others yet will decide it's time to purchase an investment property - one close to their child's school. One benfit of purchasing is in knowing where your child will be living for the next four years and the exact cost. No rising housing cost drama - just your scheduled monthly payment. And if things start to get tight, roommates can also be added to help with the payments. Purchasing an investment property is also a great option for families with more than one child who all plan to attend the same school. Outside of student's housing, some parents will wonder if it's the right time to downsize from the large family home into something with less cost or maintenance. Others may look into trading in the large home for two homes - one in the immediate area and a second closer to (or further from) their students. There are many options we can discuss for whatever you may be thinking so give us a call. We can go over all the options, run the numbers of each scenario, and help you make the right decision. We're looking forward to helping you. Have a great day!